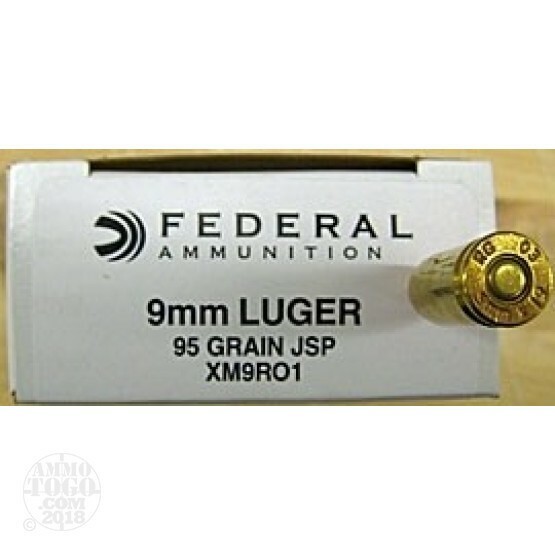 This is 9mm Federal British Military 95gr. Jacketed Soft point Ammo. This ammo was manfactured for the British Military by Federal using Radway Green components. It is brass cased, boxer primed and 100% non-corrosive. This ammo is headstamped RG (Radway Green) 03. This is some fabulous Mil-Spec Ammo. It is designed to have rapid expansion in close quarter situations out of sub-machine guns. This ammo is safe to shoot in all 9mm weapons. This ammo is packed in the standard black and white military style federal 50rd. box, 1000rds. per case.